Every year, September 10th is observed as World Suicide Prevention Day. In this regard, the Department of Psychology organized a programme in association with the Medico Pastoral Association, Bangalore – avoluntary therapeutic community that works for the rehabilitation of mentally ill persons. The event and lectures were sponsored by the Medico Pastoral Association. The theme for this year was “Stigma – A major barrier for suicide prevention”. The programme was attended by Ms Diana Tholoor, Director, Chrysallis performance centre, Dr Joseph George, Head and Prof of Counselling, UTC, Trustees of the Medico Pastoral Association (MPA), students and faculty members of the Department of Psychology and Social Work, Christ University. The chief guest for the event was Prof. Raghuram, Head of Psychiatry, KIMS, Bangalore. In the opening remarks of his keynote address, Prof. Raghuram referred to suicide as the ‘silent anguish’ and the alarming statistics in Bangalore which accounted for almost 15% of suicides in India, with the vulnerable population falling in the 15-24 age groups. In addition to facts and figures, the address gave invaluable insight through a poem written by a farmer just before his suicide, perspectives by eminent sociologists such as Durkheim and Goffman on the phenomenon of suicide and the stigma associated with it. He also highlighted the importance of prevention, intervention and postvention as plausible steps in addressing this issue and the alleviation of stigma in survivors of suicide. The address ended on a thoughtful note that “the stigma lies with us and we need to restore hope”. Following this there was a debate on the theme – “Suicide prevention: The onus lies with the individual and not with society”. The debate was moderated by Dr. Elizabeth Jasmine from the Department of Psychology. The debate had two rounds – the first in which each team presented their case for or against the topic and the second round in which they went head-to head with their arguments and counterarguments. It ended with the house vote by the audience and questions and comments by the audience. This was followed by a lecture by Dr. Mohan Isaac, Professor of Psychiatry, University of Western Australia who spoke about the vision of the Medico Pastoral Association and the prominent role that it continues to play in the area of suicide prevention. The programme was well represented by all the Postgraduate and Honors students who put up skits and dance-dramas on the theme. Overall the event highlighted the demand for qualified and empathetic professionals in the field of mental health and a call to specifically address the pressing issue of suicide prevention. “The benefit of information technology is that it empowers people to do what they want to do. It lets people be creative. It lets people be productive. Gateways, the annual inter-collegiate National Post Graduate IT fest, hosted by the Department of Computer Science, Christ University, is an excellent arena to showcase the talents of young minds, imparting creativeness and productiveness. Gateways 2013- the national intercollegiate tech fest organized by the Department of Computer Science diligently provides a platform for students to showcase their caliber and zeal amidst healthy competition, conscientious of helping students gain exposure and maintain a healthy relation with institutions round the country. ‘VIRTUALIZE’- the theme of gateways, encourages virtualized vision homologous with the rising technology converting thoughts into facts. The focus of the fest was to bring out a healthy competition among the students of various institutions considered to be at par with competition in the real world. This year Gateways was held on the 10 and 11th of September. The inaugural ceremony that was held in the main auditorium at 9:30 was presided over by Raveendra Krishnappa a charter member of Indus Entrepreneurs. The other esteemed guests were Rev. Fr Dr. Thomas C Mathew, Dean of Sciences, HOD Mr Joy Paulose, Coordinators Ms Rajeshwari CN and Ms Saleema JS. There were twenty two colleges who took part in the various events that was organized by the post graduate students of Computer Science department. Infobahn a bi-annual gazette published by the Post Graduate Department of Computer Science with intellectually curious and versatile minds contributing to it, was also released the same day. We had around ten events which included popular ones like Quiz, Product launch, Coding, Best Manager etc along with Carnival extravaganza. We had enthusiastic participation with about 200 students from various colleges. Gateways -13 was a success and will be remembered in the minds of everyone as a collective and team effort. The state level workshop on “Multimedia Applications in teaching and Learning” was organized was organized by the School of Education, Christ University, on 14th September 2013 at Room No 911, Central Block. The day’s proceedings were deliberated by the eminent experts in the field of education. The delegates who participated were teachers from reputed schools of various parts of Bangalore city, the faculty members and the students of School of Education, Christ University. The Chief Guest for the work shop was Dr.SrikantaSwamy , Professor (Retd.) IASE, R.V. Teachers College-,Bangalore. The major speakers were Dr. T.N. Raju ,Professor at B.E.S College of Education-Bangalore and Dr.Hanumanthappa, Associate Professor, Department of Computer Science and Applications, Bangalore University. The workshop commenced with the lighting of the lamp by the dignitaries followed by invoking God’s blessing through a prayer song sung by the students of School of Education. The convener of work shop Dr Sumita Rao,Assistant Professor at School Education, Christ University greeted the dignitaries, the guests and the gathering. Professor Srikanta Swamy delivered the inaugural address and stressed on incorporating multimedia in class room teaching. He quoted that the teachers play an import role in helping the students to change the Society and Multimedia facilitates in achieving of this goal and therefore it is the need of the hour today. The Indian education system is lagging behind in this respect when compared to that of innovative systems that are practiced in UK, where, multimedia input is used extensively with the use of advancement of information technology. There is a need to create greater awareness and commitment toward the use of multimedia among teachers to make them competent in classroom teaching. He also emphasized on the resistance among teachers and teacher education institutions to incorporate multimedia as a new technique in the teaching methods. He suggested that there should be a paradigm shift in the education system i.e., a blend of modern and traditional methods of teaching. Both these methods need to be incorporated effectively in the curriculum to stay abreast with the fast changing globalized world. He alerted the participants to come out with personal workable action plan with a view to implement the multimedia techniques in the classroom teaching. He also quoted that teachers are nation builders and engineers who constructed the society and brought about healthy changes in it. He concluded by saying that education is a step by step process of information that leads to Knowledge, Knowledge leads to Application, Application leads to Attitude and Attitude to Action. Hence education is a powerful tool to change the world by changing attitudes and actions of a student through an effective system of education. The first session was conducted by Dr. Hanumanthappa. The main highlights of his presentation were- 1. the present day teachers’ lacked computer knowledge , 2. Many teachers do not make deliberate attempts to get equipped with the multimedia skills.3. As a result students have lost interest in the education. Hence, teachers need to take a lot of initiatives in this regard to implement new techniques by incorporating multimedia in the class room teaching. He focused on “The need of technology in Education”. Technology brings about interactivity, effective content delivery, managing resources, collaboration, and good communication, easier process to formative and summative evaluations. This helps in self learning, importance to guidance and engaging learning experiences. Innovative methods could bring about effectiveness in teaching. He quoted that, “I hear and I forget, I see and I believe and I do and I understand.” This will lead to effective means of teaching. Traditionally, teacher was the only source of information but today teacher is one of the many sources of information. So, teacher has greater role to play and the multimedia will help a teacher to go a long way. The second session conducted by Dr T. N Raju, the prime focus of the discussion was on the different dimensions of application of multimedia in class room teaching and learning. He stressed that the teacher should make the class room teaching interesting. His major suggestion to the student-teachers was that there has to be effective communication between teacher and students in the class room. The teacher has to work on developing competencies in effective communication. Through a video, he presented the Challenges faced by the Teacher of 21st century. The main highlight to ponder is, is teacher the main source of information today? He enumerated the Blooms taxonomy. A teacher needs to adapt to the present day requirements. The concept of REPERTOIRE needs to be given importance and should be applied in class room. Multimedia not only includes visual domain but also the audio and the text. He shared some of the techniques of creating multimedia presentation that could be used in a class room as follows a) process of preparing and editing a PPT, b) on narration and off narration techniques which are used in the classroom c) the steps in developing the multimedia presentation. It includes 1. Creating an outline of the point, 2. Creating a strong introduction and Conclusion, 3.Practicing and Presenting, 4. Refining the presentation, 5. Editing and proofreading, d) use of e-books and other multimedia techniques in a classroom can be very effective in teaching process. Prof.Vinay, M Department of Computer Science, Christ University, briefed the participants on the usage of technology at Christ University. The main focus of his session was to highlight the initiatives of the Christ University incorporating the recent advancement of technology in the campus. Starting with attendance, Continuous Internal Assessment and publishing of the results through Moodles software programme that helps the students to access academic information online. Many useful software programme which are useful for class room teaching such as open class, blend space, moodles etc were explained in detail supported by quick demonstrations. He discussed how Christ University is effectively using moodles for all the curricular transactions that took place between the students and the staff. He concluded by saying that the teachers of today need to have a sound knowledge of technology in order to have an effective teaching experience. Dr. Samson Victor, Professor at School of Education, Christ University, guided the participants to the Green View Studio of Christ University. The participants were given first hand information about to how technology is applied in class room teaching. A promo video was presented before the participants to sensitize them on the recording of an audio and video followed by the recording and editing of e-classes. The Valedictory function was organized at 4.30pm in the conference hall .The dignitaries of the occassion s were Rev.Fr T.V Thomas- Director of School of Education, Christ University, Dr T. N. Raju, Prof.Jose Cherian- HOD of School of Education, Christ University and Prof. SumitaRao. Mr.Vikram Bhat was the Emcee of the ceremony. Two participants, Mrs. Sheela Murthy of Mahila SevaSamaj and Mr.Surjit Singa of Kristu Jayanthi College shared their experiences for the day. Fr T V Tomas addressed the delegates and quoted that the teachers need to have sound knowledge of multimedia skills in order to reach out to the present generation. Towards the end, Rev.Fr.T.V Thomas distributed the certificates to the participants the workshop concluded with the singing of University Anthem. CHEMOZ, the Inter-collegiate fest of the Department of Chemistry was held on 29th August 2013. 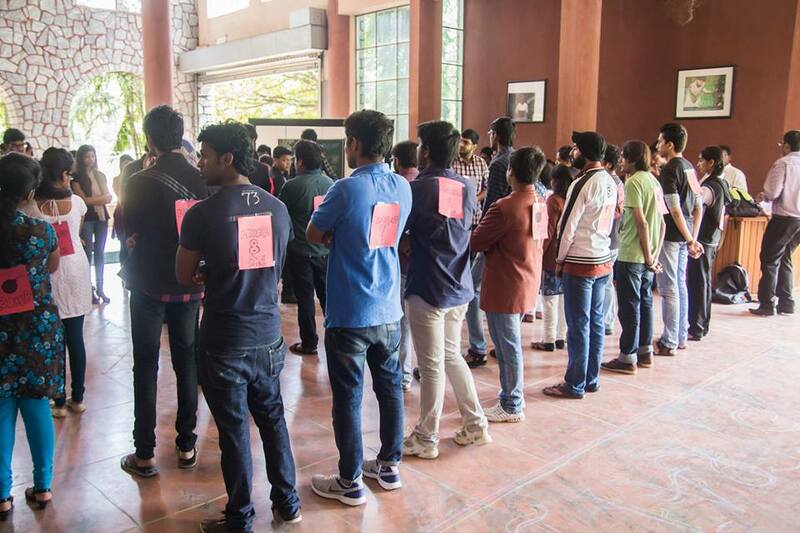 UG and PG students from 13 colleges of Bangalore participated in the various events. UG and PG students of Christ University participated in all the events with full enthusiasm. The venue was 10th Floor, Central Block. The laboratory events were held in the Chemistry Lab of Block I. 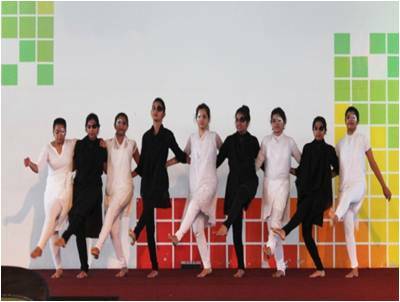 The event was inaugurated at 9:30 am with a dance performance by II BSc students and a welcome address was delivered by Dr. Riya Datta. The events were Chemimix, Salt mixture analysis, In-the-lab, Biz-wiz, Lecture contest, cartooning, crisis management and quiz. All the events were judged by faculty members of the department. The student volunteers helped in organizing the events. The day ended with a cultural extravaganza by the students of Christ University. For the valedictory function Prof. Nanjegowda N.M. addressed the students. Prof. Nanjegowda, Prof.Baby Mathew and Dr. Louis George handed over the trophies to the winners and runner ups of the various events. Christ University was the overall winner and St. Joseph’s College (Autonomous) was the runner up. The overall winner’s trophy was handed over to St. Joseph’s College. The Department of Commerce organises Panel Discussion ever year for its M COM programme. It is a forum opened for intensive discussion and dialogue on current affairs and business with a core objective to educate the student community and keep them abreast with the current happenings in the commerce world. The sessions are highly interactive with industrial experts present to enrich student’s learning. The topics that are selected add an important dimension to the curriculum. This year, the discussion was focused on the topic “Licencing of new banks and its impact on the Economy”. Mr. Suresh Pai, (Former Executive Vice President of IndusInd Bank) was the Moderator of the discussion and Mr. H. Vasanth Rai, (Former Workmen Director, Canara Bank), Ms. Swathi S.M (General Manager, Corporation Bank), Mr.Shrikanth Rao (Associate Professor, CUIM) and Mr. T.S Ramachandran (Associate Professor, CUIM) were the distinguished panellists. Together, they gave the students a comprehensive idea of both the positive and negative effects of RBI’s decision of providing licences to new players in the banking sector. The discussion was scheduled on 24th August 2013, Saturday from 11. 00 am onwards. 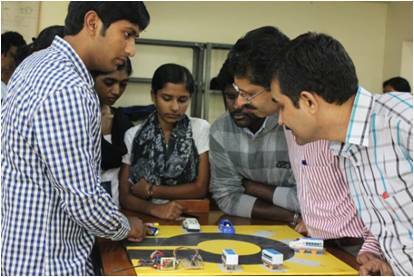 Circuit 2013, an intercollegiate Electronics meet was conducted by the Electronics Club on 27 August as part of Science Fest. 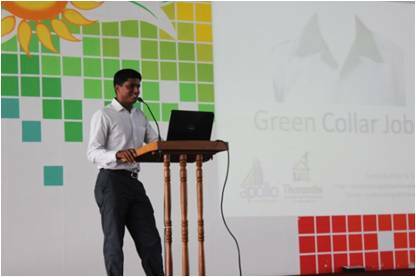 The programme commenced with a talk by Mr. Sunil Kumar of Tharanthi Integrating Technology Pvt. Ltd. on “Green Collar Jobs – Job Opportunities in Renewable Energy Sector” which was very informative and well appreciated by all the students. Ten colleges from the city registered for the various events with more than 120 student participants. All events were limited to two teams per college with the exception of chart making and project exhibition which were open events. The competitive events were Lecture, Circuit Analysis, Dumb Charades, Quiz, Chart Making and Electronics project Exhibition, all related to Electronics. 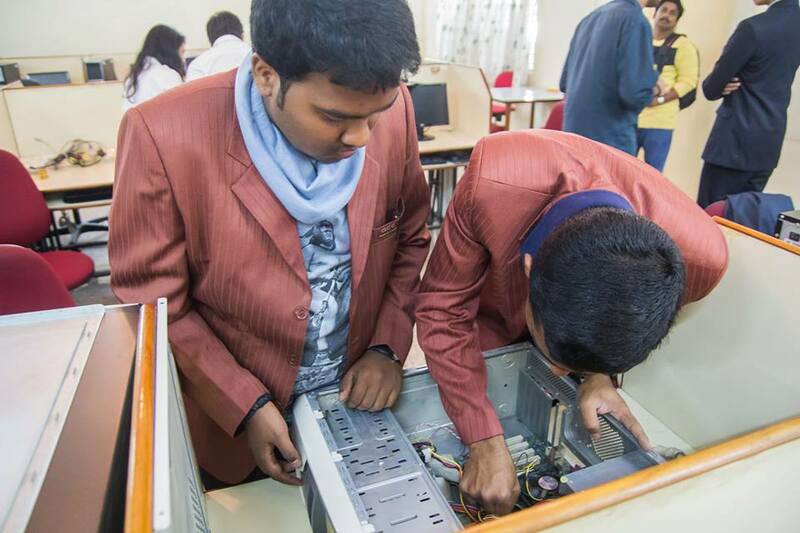 All the competitive events were organized and conducted by the organizing committee members of Electronics Club which comprises of two students from each class. The students made use of this learning opportunity and put in a lot of time and effort in planning and successfully conducting the events. Attendance was taken at specified timings for all students of Electronics in Campus View and submitted to the IPM department for updation. The program concluded with cultural programme by students and cash prize was distributed to the winners along with certificates. 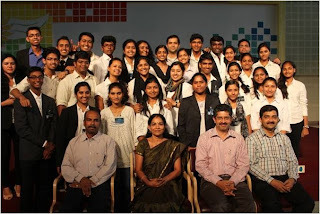 The Department of Computer Science, Christ University held Interface 2013, a two-day IT festival on 28th and 29th August, organized by students of the BCA and B.Sc. streams, as part of the four-day Science Fest. This was the 17th anniversary of the festival and 2013 was the first year in which the festival was on a national scale. It was attended by 29 colleges from across the nation, spanning over 500 unique participants, breaking all records of the Science fest. Preparations for the event started in late June, spearheaded by Faculty co-ordinators Mrs. Monisha Singh, Mr. Peter Augustine and Mr. Saravanakumar K and student co-ordinators Ulfath Abdul Sulaiman, Nandita Gupta, Vaibhav Gupta and Ashwin Agarwal. The festival comprised 9 technical and 7 non-technical events, coming up to a total of 16 events. One unique event was Event X, where participants had no idea regarding event details prior to Interface 2013. Keeping in with this year’s theme of Augmented Reality, the poster had a QR code which could be scanned by our App, available for Android. Both our posters and brochure were innovatively designed and were much appreciated by the participating colleges. Our mascot Argon, who had several avatars, symbolized the spirit of progress and development, and our theme Augmented Reality. The Invitation package contained a poster, a brochure and an official letter, and was posted to national colleges and hand-delivered to colleges in and around Bangalore. Interface was popularised through Facebook, Twitter and our official radio partners Indigo 91.9 fm. In addition, our official Interface website was designed to garner maximum attention. Registrations were paperless this year, as they were done through our website. Rajeev Makhni, the GADGET GURU of India, wished to be available as the chief guest of the event. However, due to his unaccommodating schedule, he couldn’t make it. He was however, kind enough to send us a video clip of himself, educating our audience on Augmented Reality and promising to be here in person for Interface 2014. Our video team, FTW productions, did a fantastic job promoting and summarizing the event through our opening video aptly titled – “Welcome to the Program” available on YouTube and our Facebook page http://www.facebook.com/interfacefest . Continuing the trend from last year, students of Christ University abstained from participation in the events, instead opting to focus all their energies into organizing what turned out to be arguably the largest event the science fest has ever seen. New trophies were designed for each event and for overall winners and runners-up. 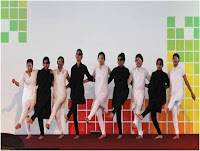 Both the overall winners and overall runners-up trophies are no longer rolling, and were bagged by Kristu Jayanti College and Garden City College respectively. A panel discussion was organized on 31 August 2013 on “Prospects and challenges of Common Entrance Test: Engineering and medical courses”. It was lead by a hand of experts from various fields of education. The panel consisted of Dr. S. Kumar – Executive Secretary, ComedK; Dr. Antony Robert- secretary Career & guidance, St. John’s Medical College; Prof. Nagendra S – Dean, BMS College of Engineering; Prof. Vallish Herur – Director, BASE; Dr. Shilbala Singh – Principal, Kendriya Vidyalaya, DRDO; and Dr. MCA Devi – Senior Scientist, NDRI a parent representative. We also had two student representatives – Joel and Anna who shared their experiences in CETs. Fr. T.V. Thomas, Director CUMI and School of Education addressed the gathering and set the foundation for the panel discussion. He spoke about changing the philosophy of education for the betterment of the society. He also raised questions like “Are we testing the aptitude of students by sending them to coaching centres?” which evoked the crowd to reflect on it. Dr. Kennedy Andrew Thomas – Director of TQMS was the moderator of the event, he started by speaking about the critical importance of the entrance exams from the students point of view. Dr. S. Kumar briefed about the various judgements which were passed by the government from the year 1993 till date and gave a bird’s eye view about the dawn of the entrance exams. He then gave insights about the quota system, reservation of seats, the various reforms and policies framed, statistics of the number of colleges and deemed universities specializing in medical sciences. Dr. MCA Devi began by quoting the definition of education and later questioned if our current system aims at doing justice to that definition. She spoke on how only numbers matter, the stress and pressure faced by students which in turn passes onto the parents. She also laid emphasis on the importance of preparation by students and how parents should be supportive during this phase. She concluded by talking about the anxiety that parents go through till the completion of the entire admission process and hopes to see more transparency in these exams. Dr. Anthony Robert kept the crowd alive by his good sense of humour as he spoke about the after effects of crossing CET. He shared his personal experiences of becoming a surgeon. He cautioned the parents and students about misleading advertisements of unrecognised institutions. He even educated them about the various funding agencies which can financially support them. Prof. Nagendra focused on how Indian economy reflected on the Indian education. Irrespective of the various boards – CBSE, ICSE, State which ultimately face the CET which is based on CBSE syllabus. He even spoke about the plight of engineering seats going vacant, as the students aim to rush to the top colleges; he also talked about the stress faced by students forced into tuition classes. He ended his session with the question, “Are our students tested for the right aptitude?”. Prof. Vallish Herur, started his session by asking if the students of today take up engineering and medical seats on their own or is it out of societal and parental pressure. He said that these exams should be conducted fairly and transparently. Board exams conducted do not provide a platform for testing the aptitude and hence various entrance exams have come up. The education system fails to focus on training students for their boards, hence these coaching centres have sprung up to cater to the needs of students, he said. He concluded by saying that the evaluation system should not be rigid and the government should bring about a flexible system. Dr. Shilbala Singh spoke widely about CBSE board and the introduction of aptitude test, and career counselling to determine the right subject of interest for the students. She persuaded the parents to allow their children to follow their dreams and not to force them. She even spoke about the importance of self study rather than pushing them into coaching centres, she suggested the students to look into other professions and options which are available today. She concluded by saying that teachers still hold the power to push the students up the ladder. Joel shared some very useful and interesting tips with his personal experience. Joel spoke about the dos and don’ts of preparing and writing entrance exam, which was truly useful for the students. He motivated them to stick to what they want and to keep trying until they reach their goal. While Anna focused more about the drive and passion towards a particular career goal, she gave more importance to decision making process. She also shared some tips related to time management, transition phase to help the state board students, mock exams, etc. The whole session was wrapped up with a round of questions from the parents and students to which the panellists answered and shared their views and suggestions. Some of the questions were; ‘How to avoid rot memory and develop conceptual memory?’, ‘Can we introduce mapping to check for the aptitude?’, ‘Is there aptitude and career counselling available for the students of Christ University?’, ‘Why isn’t there a separate paper for physics and chemistry to test the students who are competing for engineering and medical entrance?’ and finally ‘Who monitors the reservation of seats?’. Seminar on The Importance of Staying Current with the Technology. Electronics Club had organized a seminar exclusively for the I year PME and CME students on a topic, “Importance of staying current with the technology”, on Tuesday 20 August 2013 at seminar Hall, Block 2, from 2 to 4pm. All the students from the I year PME and CME classes with the faculty members from the department of Electronics attended the seminar. The resource persons Ms. Sujata M S and Mr. Mansur Ali Khan were from the industry, Vasundara Automation and engineering services Pvt. Ltd, Bangalore. Mr. Mukund N Naragund, faculty I/C, introduced the speakers to the audience. Ms. Sujata M S, Manager, Training Division of Vasundara Automation and Engineering services, Bangalore, started the session with a mention of various fields of electronics, looking for the candidates with good imagination and technical knowledge. She also showed a few videos on how the electronics plays an important role in the industry sector. The video on IC manufacturing process grabbed the attention of the audience. “Keep on working with electronic devices and circuits, which is a fun and better learning experience” was the summary of her talk. Mr. Mansur, a Business development manager presented a talk on, “how can you be a part of industry?” As a part of his presentation, he shared very useful tips on meaningful usage, extension and acquisition of knowledge, productive habits of mind and attitude and perception. He ended his presentation with another video on electronics applied in automobile industry. Ms. Apeksha from I sem PME on behalf of the Electronics Club, proposed vote of thanks. The students interacted with the resource persons after the session with a lot of queries on job opportunities, internship possibilities and subjects for their future studies etc. Prof. Benny Sebastian, Head, Dept of Electronics being instrumental in arranging this session for the students, also attended the seminar. The Department of Hindi and Urdu of Christ University organized their annual programme Sham-E-Ghazal on Friday, 23rd August 2013 at the Campus view, 10th Floor, Central Block. The students of Christ University and Ghazal lovers from all over the city came together to enjoy the evening of music and poetry. Renowned Urdu and Hindi poets as well as aspiring student poets of Christ University were present during the occasion. This was a platform for our young poets to present their Ghazals and poems in front of a huge audience. The Hon. Vice Chancellor Rev. Dr. Fr.Thomas C Mathew inaugurated the programme. In his inaugural address, he spoke about the relevance of organizing such programmes in our campus where students from different religions and cultures harmoniously co-exist. He also insisted upon the need to promote and preserve the ancient forms of art like Ghazal singing. The Chief Guest of the function was Ustad Hari Krishen Pahva, the renowned Hindustani and Ghazal singer. This event saw the presence of poets like Zafer Mohiuddin, Muneer Ahmed Jami, Nadeem Farooqi, Hasan Ali, Natiq Ali Puri, Kishwer Kolari, Asar Jaffery. Noted Scholar Prof. Maher Mansoor presided over the function. Selected student poets like Arati Rajan, Chahak Goel, Aditi Lahoti, Pallavi Jha, Mohmmed Musaib, Nisaruddin, Priyank Himanshu, Mohammed Ameer hamza, presented their poems. Ghazal singers Chakochan, Anustha, Himali, Akash, Vidyun and Sarvar enthralled the audience with their melodious rendering of popular Ghazals. The scholars who were present during the occasion provided the curious students with insights on poems and Ghazals. Famous compere Muneer Ahmed Jami did the compering. Dr Abdul Munaff welcomed the gathering and Amrutha Dwivedi proposed the vote of thanks. 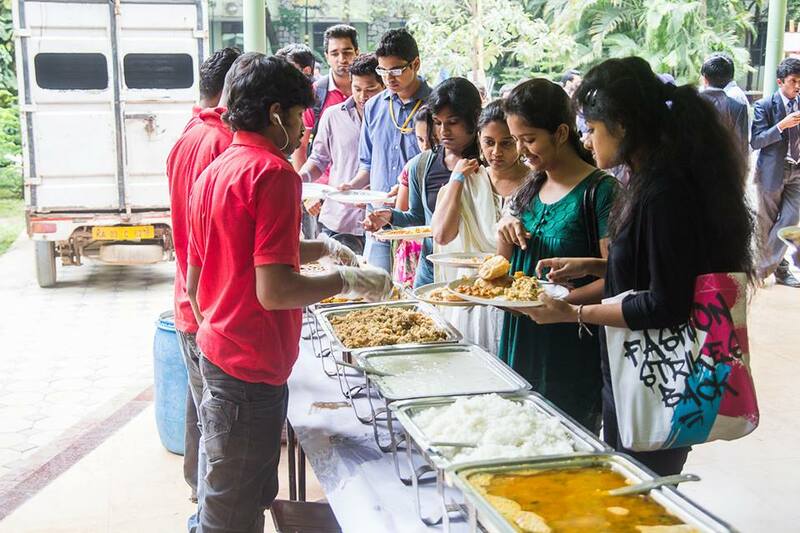 The Department of Biotechnology hosted it’s Annual Fest, OPERON on August 27 2013, welcoming colleges from around the city to participate in various events. Neighbouring colleges like Jyothi Nivas, St.Josephs as well as those colleges across the city like MES, Kristu Jayanti, NMKRV, Vijaya College, BMS, Garden City, BHS and Oxford rendered quite a number of participants. The programme for the day started at 9:30 AM with an invocation song. This was followed by a short documentary made by the final year Biotech students depicting the highlights of Biotechnology department. Various nail-biting events like Master cracker, debate and Potpourri showed maximum number of participants. 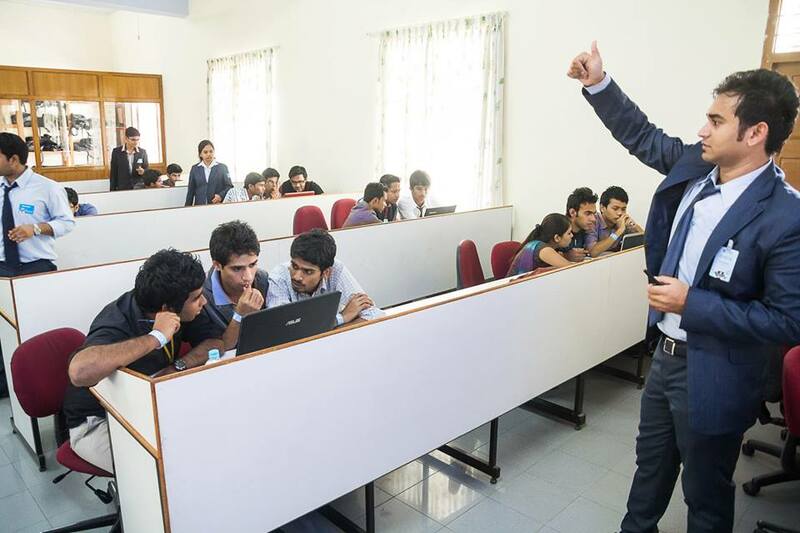 The event Marketing Genius portrayed entrepreneurship, however amateur, in the students. Apart from textbook knowledge, participants were also tested in their creativity in art and poetry in events like Techtooning and Synthesizing Shakespeare. Winners from the latter events proved that one can be an all-rounder in the field of science as well as art simultaneously. The events of the day were carried out smoothly under the guidance of Dr Suma S, the faculty Coordinator of OPERON 2013. Prizes were distributed during the valedictory function by Dr. Nanjegowda, Dean of Science, Dr.Louis George, Associate Dean of Science and Prof Baby Mathew, ex COE. 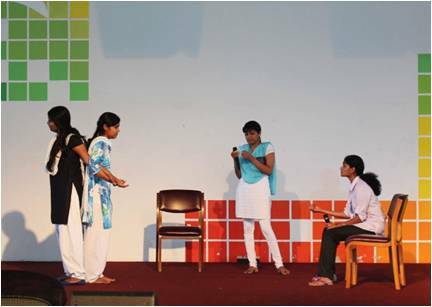 A brilliant cultural performance was put up by the students of the Biotechnology department. 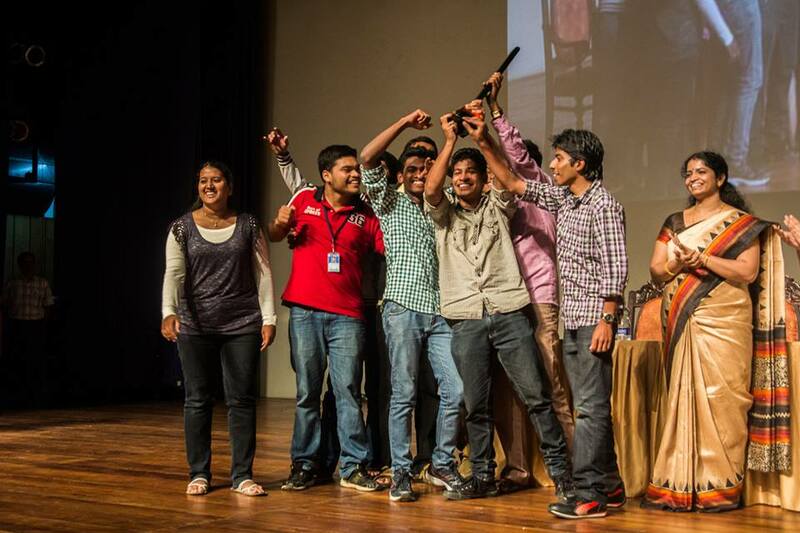 St.Josephs College of Arts and Science was awarded the overall trophy. The vote of thanks was rendered by the OPERON student Coordinator Michelle DSouza. All in all, happy memories were created that day, memories which one will never forget.